I was looking forward to read Court Of Lions as soon as I read the blurb. This novel seemed to combine two of my favorite things: historical fiction and Spain. I have wonderful memories of the city of Granada and this story without doubt triggered them. I enjoyed reading the many descriptions of the city and I loved the historical storyline and its characters. I probably would have given Court Of Lions a much higher rating if it would have been just that storyline… Because I wasn’t as charmed by the contemporary chapters. I couldn’t connect to Kate or the other characters, had a negative reaction to the adult content and wasn’t sure about the cliches either. Her history is without doubt both frightening and intriguing, but reading about it just didn’t work for me. Such a shame! I normally prefer my mysteries to be a little more ‘thrilling’, but every once in a while I like to endulge myself with a cozy mystery. Jeopardy In July turned out to be just the highly entertaining, fast and easy read I was craving and I had a lot of fun reading this story. The writing style is very enjoyable and the case in Jeopardy In July is quite interesting. I’m enjoying to see Jamie Quinn’s character evolve over time and the ending definitely made me wonder what’s next in store for her! I know it took me way to long to finally read this book, but I’m definitely glad I did. Although I didn’t LOVE love it myself and some parts were a bit slow, I can’t deny that both the characters and writing style are wonderful. Things only got better in the second half ofAristotle And Dante and I really loved to see their characters develop. The ending was exactly what I wished for while reading this story, although it did feel abrupt and I will be keeping my fingers crossed we will be able to read more about these characters in a sequel soon. There is no doubt the concept behind Slip is very interesting even though I’m not sure if the story is actually all that original. With so many storylines and characters the plot feels a bit chaotic at points and it can get a bit confusing, but I guess it does add some dept to the story. The tone was a little off for me as well, but in general this was still a solid dystopian read. Plus, not having to deal with a huge dose of sappy romance was an added bonus! I was really looking forward to Reported Missing, but unfortunately I ended up having a completely different reading experience. While the concept sounded really promising, there wasn’t much happening during the story and the pace is considerably slow. This psychological thriller is mostly focused on the character development, but I found myself unable to connect to the main character and this made it really hard to keep interested in the story. In short unfortunately not what I was expecting at all. I’m slowly trying to get rid of my NG ARC mountain so I have three more ARCs coming up next: The Lost Book Of The Grail by Charlie Lovett, Girl In Snow by Danya Kukafka and Stillhouse Lake by Rachel Caine. I have high hopes for all three so fingers crossed they will be good! And my newest TBR jar pick is still Beautiful Broken Things by Sara Barnard, which I’m hoping to read before the end of this month. 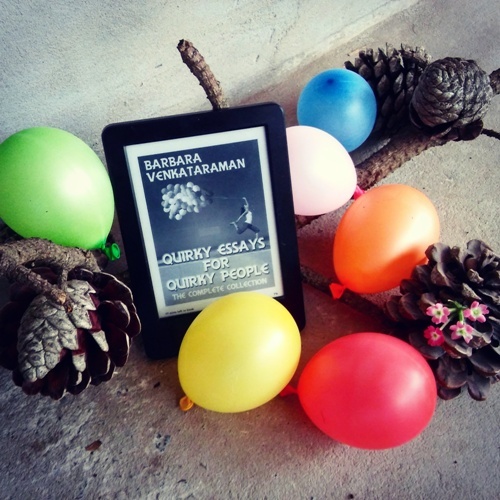 I read the first four Jamie Quinn books last year and I have grown to like both the main character and the writing style, so it was really easy to say yes to a copy of book number five. And I have to say that Jeopardy In July might just have been my favorite Jamie Quinn adventure yet. I’m not sure if it was because this story was exactly the fast, entertaining and easy read I was craving at the moment, but I literally read this cozy mystery in one sitting and enjoyed every single moment of the ride. It’s true that if you look critically at Jeopardy In July not everything about the plot is exactly all that credible and some of it might be over the top… But trust me, in this case this will lead to only more laugh-out-loud funny moments and situations Jamie Quinn will have to find a way to get out of. The writing style is very enjoyable and fun to read and I literally flew through the pages. The whole Kip-romance thing still wasn’t my thing, but the many La Vida Boca scenes mostly made up for that and the case Jamie Quinn finds herself in the middle of is very interesting. In short a highly entertaining cozy mystery with a healthy dose of humor and funny quotes… Reading the previous books is recommended though since it will help you understand the characters and their evolvement over time better. La Vida Boca is a posh assisted living facility in Boca Raton, Florida and seems to be a true paradise for the older generation. Recently they have been having an alarming amount of deaths though… While none of them are considered suspicious at first, things start to get strange when members of the same small poker club are starting to die under suspicious circumstances. 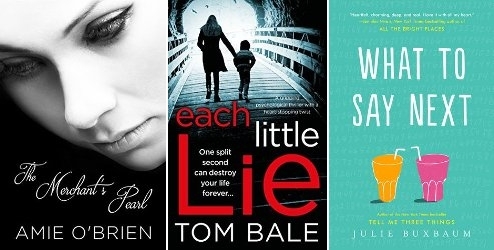 Jamie Quinn has once again found her a mystery… Will she be able to find out what is really going on? 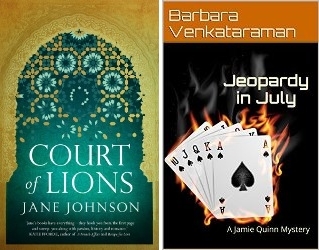 I’m actually almost done with Court Of Lions by Jane Johnson, which is probably a good thing since the publish date is tomorrow and I should have finished my review by then. Oops? It’s a historical fiction read partly set in the 15th century and partly in the present and takes place in Granada. I really like the historical chapters and the many descriptions of the Spanish city, but the contemporary storyline isn’t convincing me for various reasons. 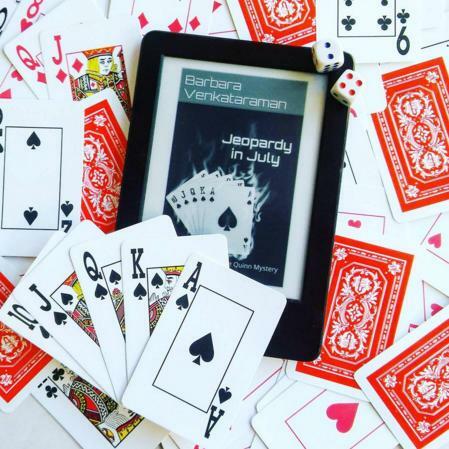 I’ve also finally picked up book 5 in the Jamie Quinn series: Jeopardy In July by Barbara Venkataraman. It’s a cozy mystery and has all the promise of being a fast and entertaining read! I feel actually quite bad I wasn’t able to enjoy Little Women better. I had really high hopes for this classic, but I found myself struggling to continue instead. This is definitely me and not the story, because I could see Little Women was well written as well as its appeal to many readers. I guess I just wasn’t one of them in the end. I don’t think I will ever read the second part, but I’m glad I at least now know what everybody is talking about when they mention this classic. I really wanted to enjoy Devastation Road, especially since it is a combination of two topics that fascinate me: WWII and amnesia. Unfortunately I found it extremely hard to connect to the writing style, characters AND plot… And honestly I think I would probably have opted for a DNF if this weren’t an ARC. I seem to be in the minority though since most reviews have been really positive, so give this one a chance if this sounds like your cup of tea! There is no doubt that The Stolen Girls is just as strong as the first book and one hell of a ride. The books of this series are a bit longer than average, but besides the fact that the stories are very well written they have the added bonus of having a complex, rich and intriguing plot and different storylines without slowing down the pace. Some of the themes might be potentially shocking/intense, so a little warning if you aren’t up for that, but I personally had a great time reading The Stolen Girls. I just loved the complexity of the different storylines, how everything connected in the end and the Kosovo flashbacks in general! I’m picking up Aristotle And Dante Discover The Secrets Of the Universe by Benjamin Alire Saenz as soon as I finish my current reads; no more excuses! Right afterwards I’ll be reading Reported Missing by Sarah Wray since the publish date is coming up soon… And the same goes for The Breakdown by B.A. Paris. And after months of collecting dust (because it took me THAT long to read Little Women), my TBR jar is back in action! My newest TBR jar pick is Beautiful Broken Things by Sara Barnard, which I’m hoping to read before the end of this month. The cover sure is stunning! I started reading Empire Of Storms by Sarah J. Maas a few days ago despite the mixed reviews, and I think the warnings have paid off because I’m enjoying this fifth book better than I thought I would so far. 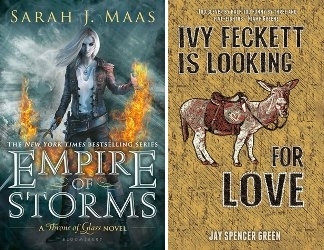 I’m also about to start another pending ARC: Ivy Feckett Is Looking For Love by Jay Spencer Green. 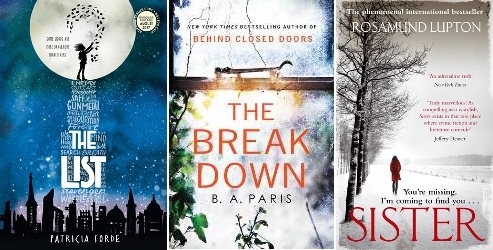 So many pending books, so little time! I’m not going to mention all the books I’ve finished since my last WWW post because that would be a looooong list haha. I’m glad to be back! 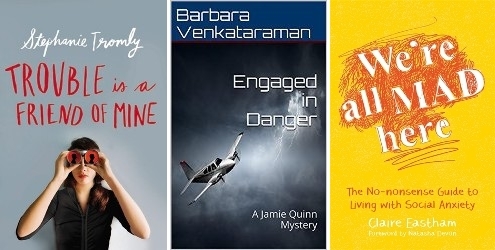 * I then read one of my ARCs: Engaged By Danger by Barbara Venkataraman. It’s the fourth book of a cozy mystery series and definitely just what I needed. The perfect easy and entertaining read for fans of the genre! I need to tackle my ARC pile ASAP, so I’m going to try and read both Faithful by Alice Hoffman and Lemon Sting by Collin Henderson next. I also want to read Ink And Bone by Rachel Caine; a series that has been on my wishlist for quite some time now. A Court Of Mist And Fury by Sarah J. Maas is still my latest TBR jar pick… I know, I know: I should have read that one ages ago, but somehow I haven’t been feeling like rereading ACOTAR first even though I loved it the first time around.